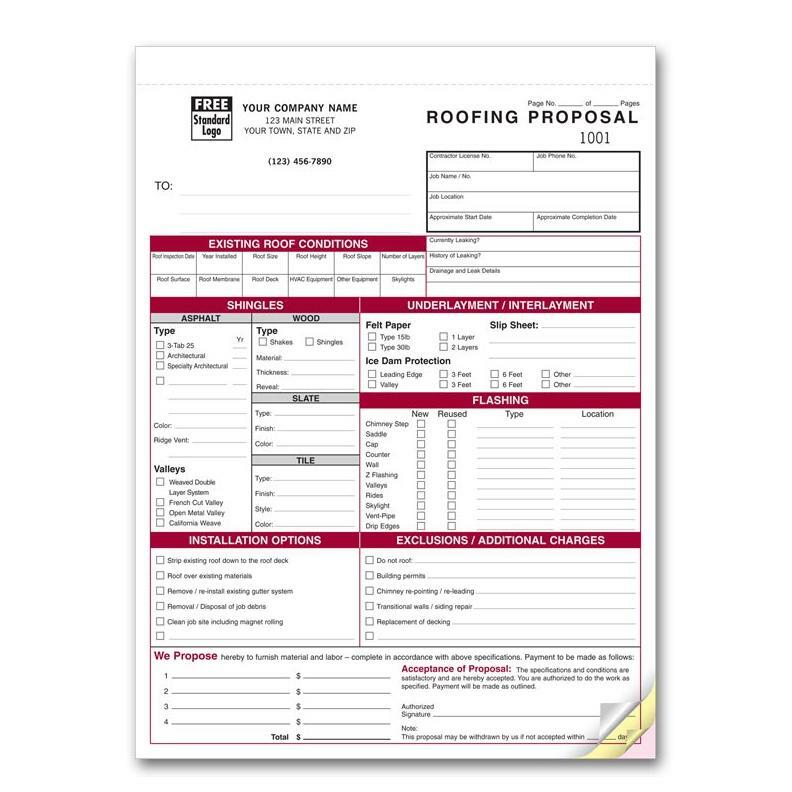 This roofing proposal form is designed with itemized sections covering all aspects of the roofing business. It will save you a lot of time because you won't have to figure what to write where. 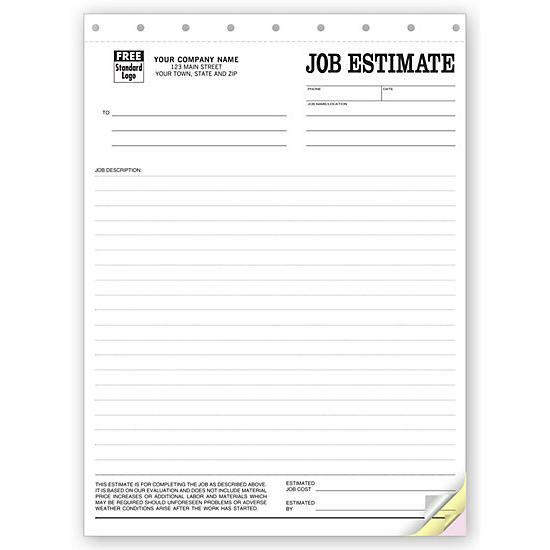 Select the relevant items pertaining to the job, complete and sign the form. 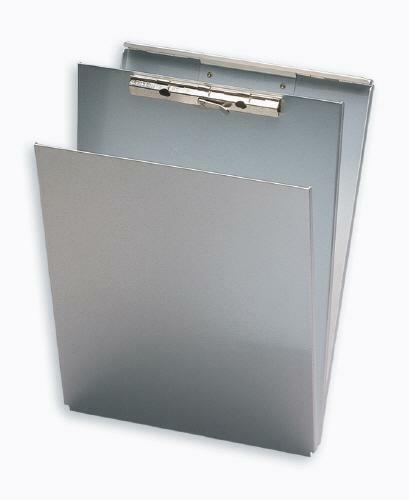 It is pre-printed on three-part carbonless paper and customized with your business name, address, and logo. The ink colors, burgundy, black, and grey make this a professional looking proposal that you will feel proud to use for your business. 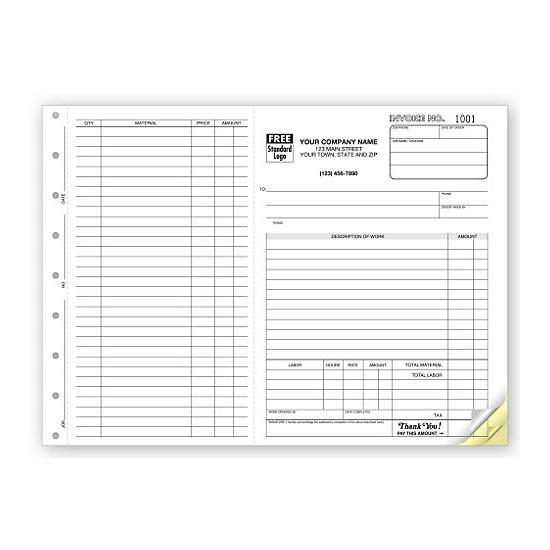 The form can be used for both commercial and residential work. Roofing contractors love it because of the ease of use and flexibility. The customer will have more confidence in your business because of the added credibility it conveys. The form says "Proposal", but it can also be used as a bid or an estimate. Therefore, roofing contractors, roofing subcontractors, roofers, or roofing companies, can use this proposal. Roof inspection date, year installed, size, shape, number of layers, roof surface, maintenance, etc. Chimney Stop, Saddle, Cap, Counter, Wall, Z Flashing, Valleys, ridges, Skylight, Vent-pipe, & Drip Edges. Finally, you make your proposal by completing the "We Propose" section and have the customer sign their signature at the acceptance of proposal section.